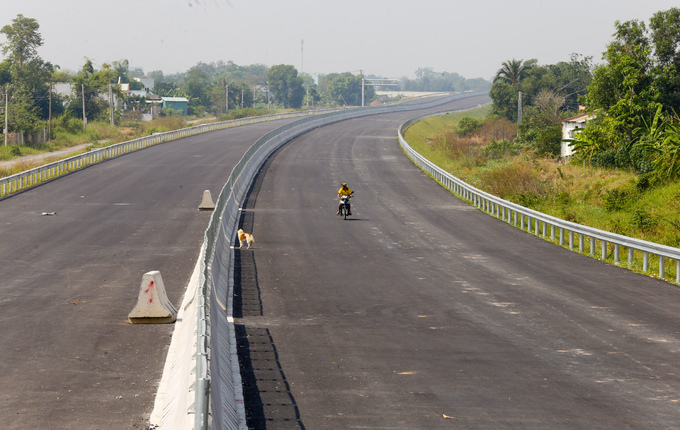 A section of the Ben Luc - Long Thanh Expressway. 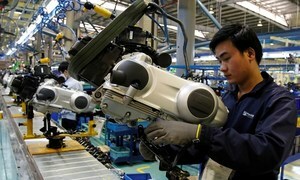 The Ben Luc - Long Thanh Expressway connecting the southern provinces of Long An and Dong Nai with HCMC will be 57.7km long. 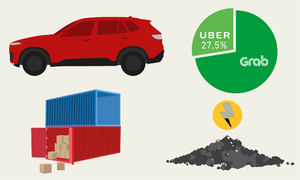 Its construction began in 2014 at a cost of around $1.6 billion. 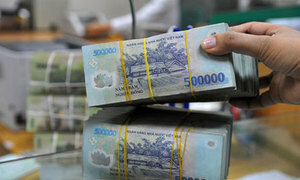 Once completed in 2020 it will be the longest expressway in southern Vietnam. 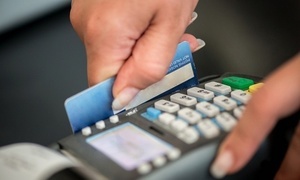 It was originally scheduled to open to traffic at the end of 2018, but has been delayed. A section of the expressway running through HCMC's Binh Chanh District. The expressway will have four lanes and a shoulder. 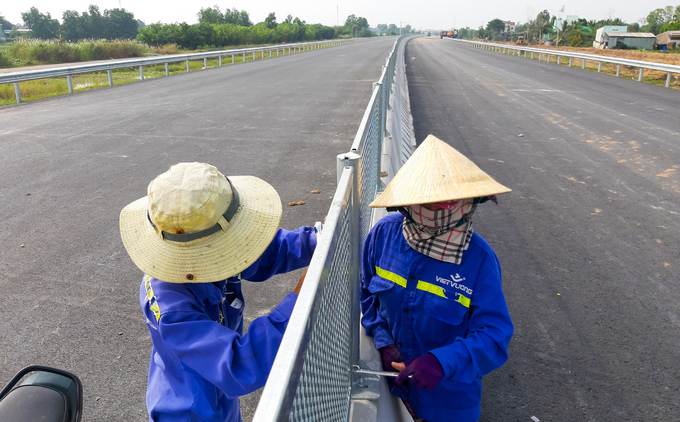 Some sections of the expressway in HCMC's Binh Chanh District are nearly complete. 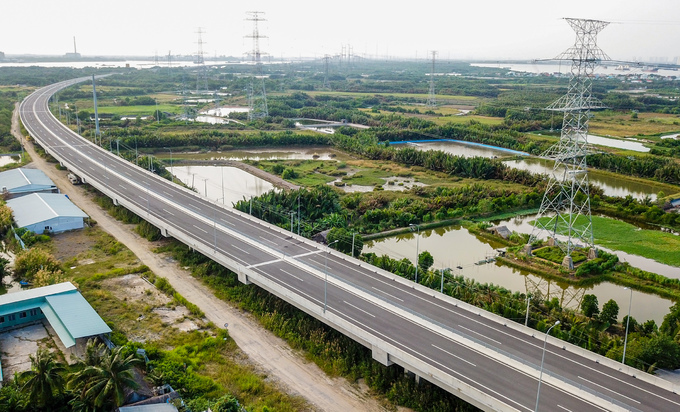 A 5-km section of the expressway in Long An Province's Ben Luc District. 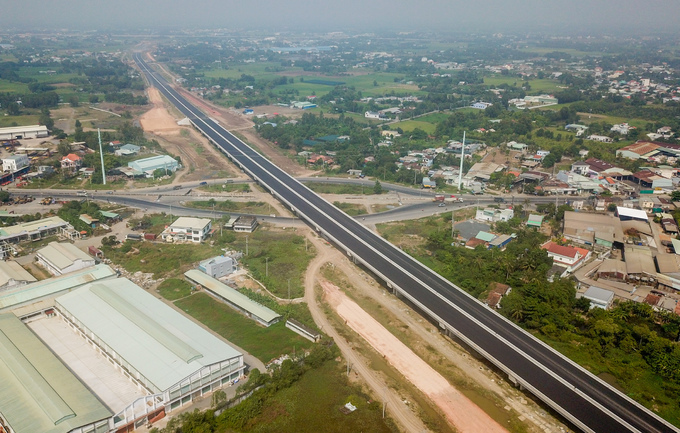 The expressway begins near Ben Luc District in Long An and runs through the province for five kilometers before linking up with the HCMC - Trung Luong Expressway. Ramps leading up to it are under construction. 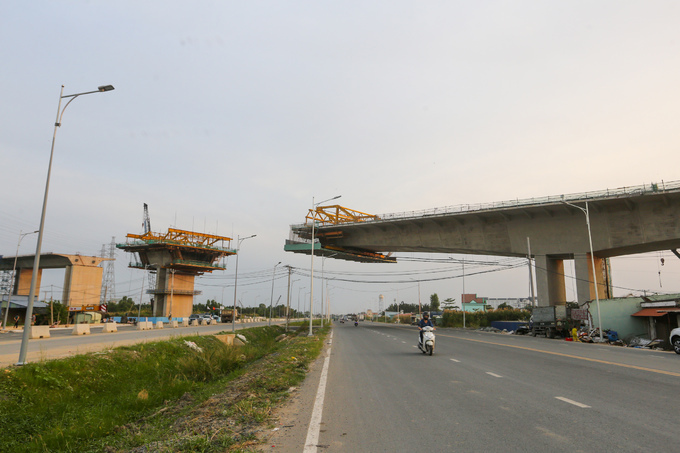 The 2.76-km Binh Khanh Bridge between HCMC's Nha Be and Can Gio Districts is still under construction. 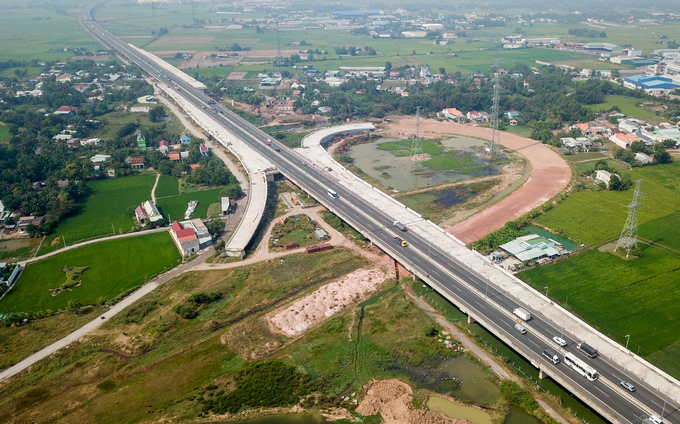 The expressway will have many bridges totally measuring 20km, with the two major ones being Binh Khanh between HCMC's Nha Be and Can Gio Districts and Phuoc Khanh between Can Gio and Dong Nai's Nhon Trach District. Pillars of the Binh Khanh Bridge. 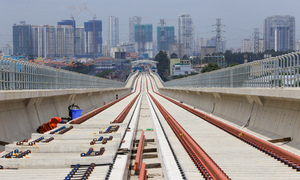 The Binh Khanh Bridge, connecting HCMC's Nha Be and Can Gio Districts, will be 2.76km long over the Soai Rap River. Construction began in 2015, and it is 70 percent complete now. 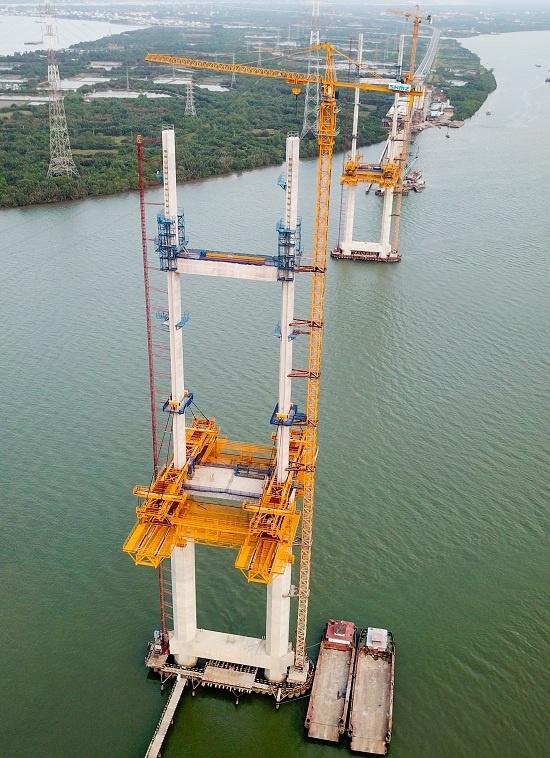 The Phuoc Khanh Bridge is also still under construction. 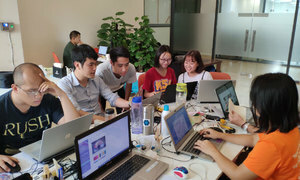 The Phuoc Khanh Bridge connecting HCMC's Can Gio District and Dong Nai's Nhon Trach District is also still under construction. The Phuoc Khanh Bridge is 3.1km long and 21.7m wide. The two main pillars of Phuoc Khanh Bridge. 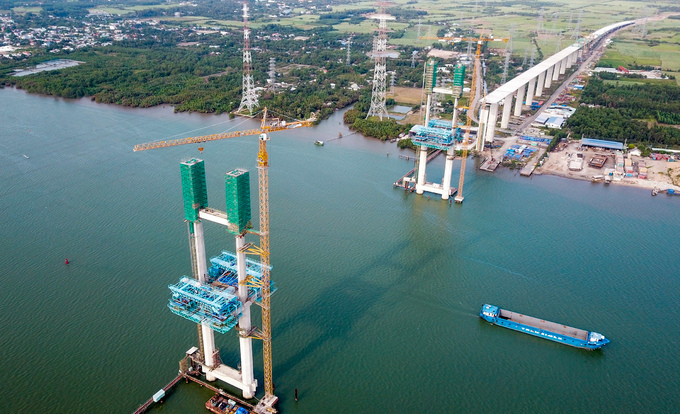 The two main pillars of Phuoc Khanh Bridge are 135m tall and are under construction. 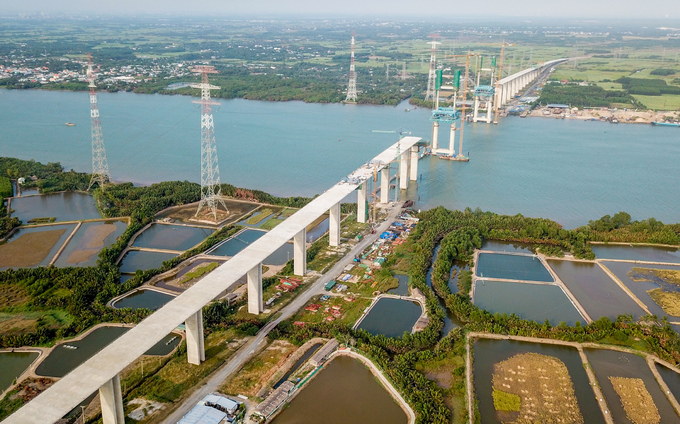 A 4.7km long segment connecting the Binh Khanh and Phuoc Khanh Bridges. 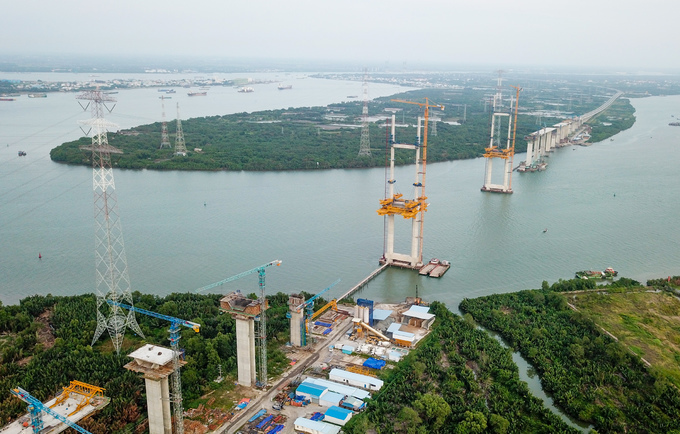 Connecting the Binh Khanh and Phuoc Khanh Bridges is a 4.7km long segment with two smaller bridges that was finished last year. An overpass above the expressway under construction. 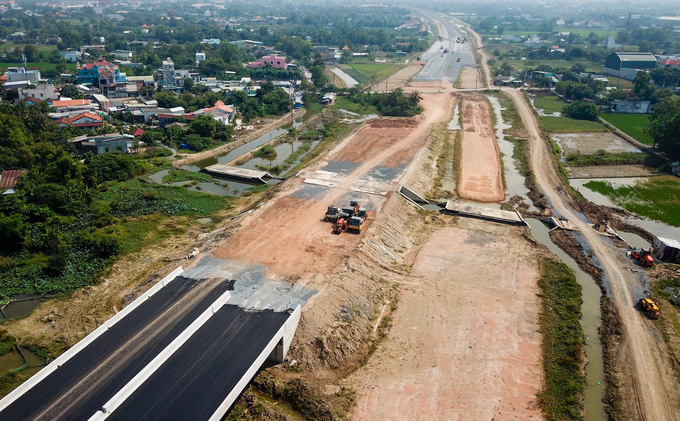 The Ben Luc - Long Thanh Expressway will have six intersections and exits in total. Some intersections with HCMC roads are still under construction. Some sections running through HCMC's Binh Chanh District are still under construction. Two workers install barricades on nearly-finished sections. 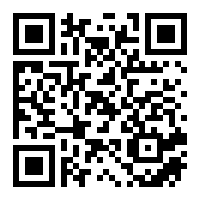 There will also be lighting and phosphorescent markings on the expressway. 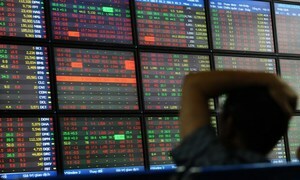 Some tunnels in HCMC and Long An Province are still under construction. 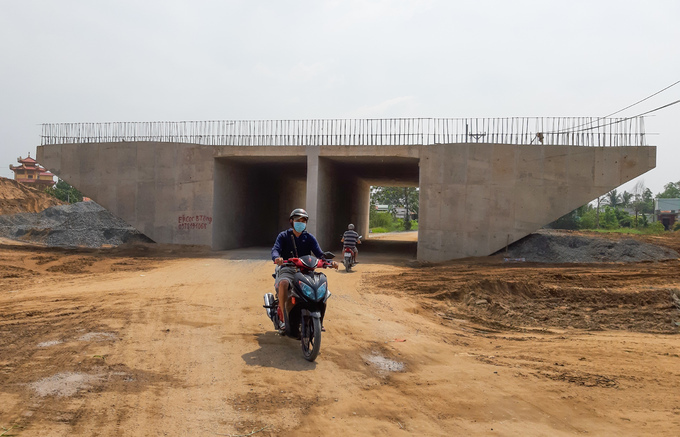 In Dong Nai Province, only 6-7 percent of the work has been completed with 100 families yet to be relocated to make way for the road. A 20-km section between Ben Luc and the Nguyen Van Tao intersection in HCMC's Nha Be District could open to traffic next September if HCMC speeds up work, a spokesperson for the Southern Expressway Management Unit said. According to the Ministry of Transport, the Ben Luc - Long Thanh Expressway will allow vehicles going from the west to the southeast of the country to bypass HCMC altogether. It will also ease traffic on National Highways 1 and 51 and reduce traveling time from Long An to HCMC, Dong Nai and Ba Ria - Vung Tau.